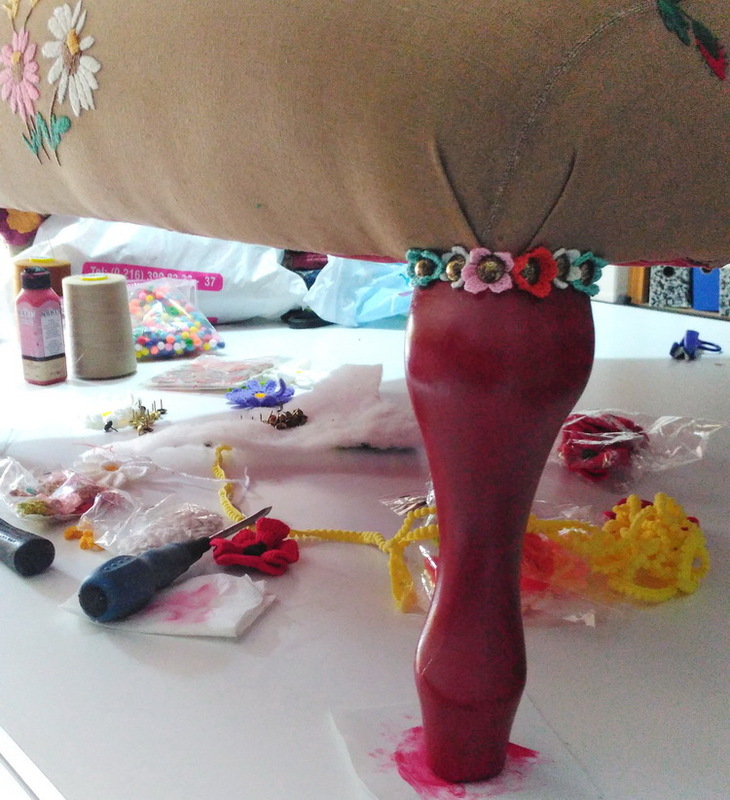 It is always super fun to show how our chairs go through a make over. This one was super ugly, for one the fabric is a nightmare, but it was also n bad shape. 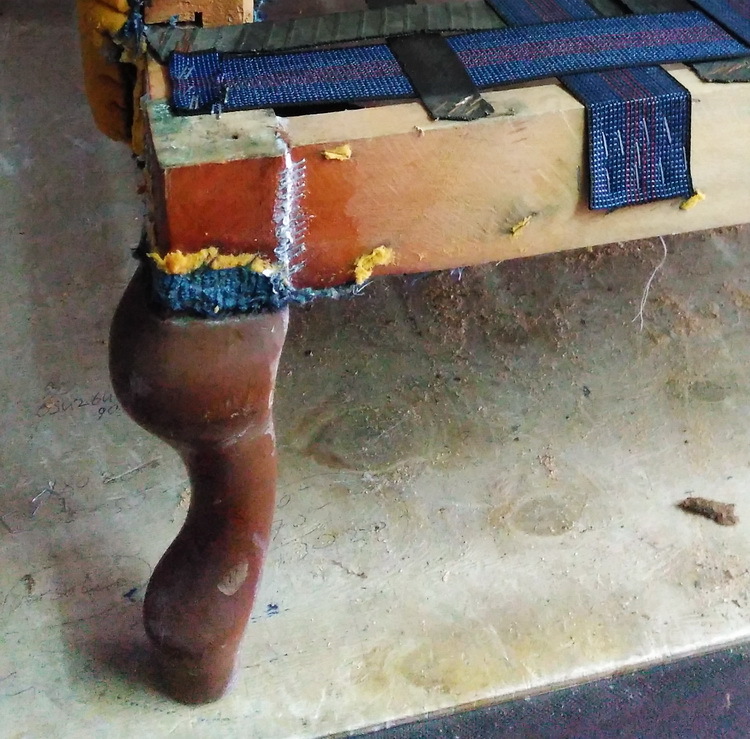 After pulling off the ugly torn fabric, and removing the old foam, we had to reinforce the chair, especially at the feet. Also new elastic bands for the seats and of course sanding off the yucky brown paint and giving it some color were the first few steps. 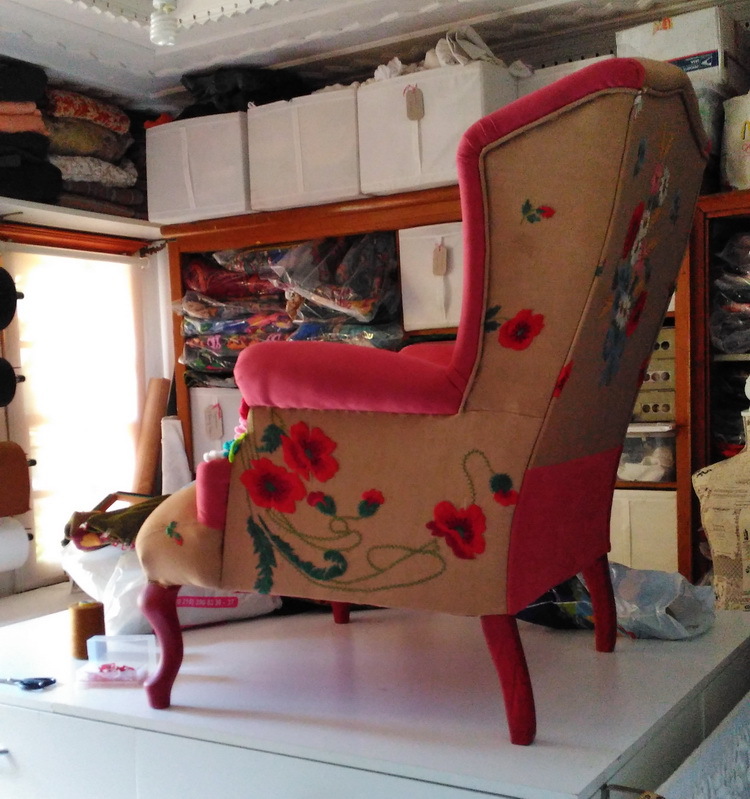 Mum had a beautiful huge embroidered linen vintage piece on the ready for several months, it was just waiting for the perfect chair for it. 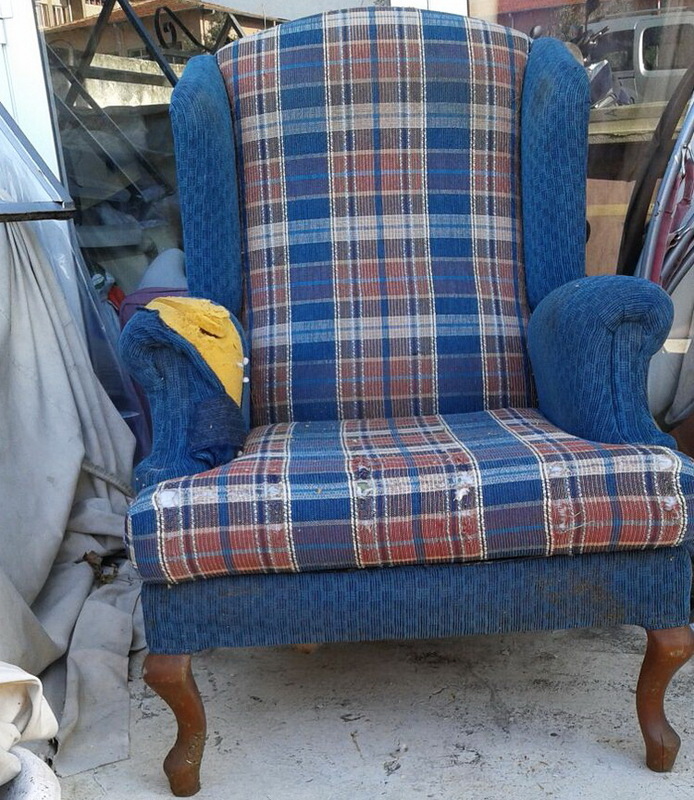 We score these chairs locally at second hand shops, thrift shops for the home etc, it is always a thrill to find a hidden beauty. The embroidery is colorful and gorgeous so we avoided using too many other fabrics to let the beautiful embroideries speak. Also as the embroidery is vintage it had a few imperfections, even after dry cleaning, so we covered those with flowers too. 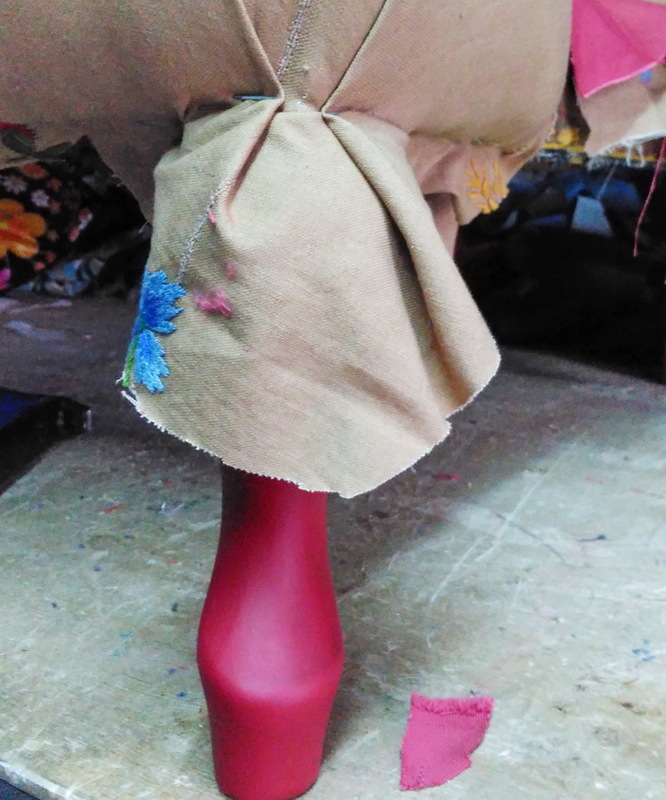 And this was the sneak peek ı showed yesterday, love those little flowers :) The feet also got varnished to protect the paint. 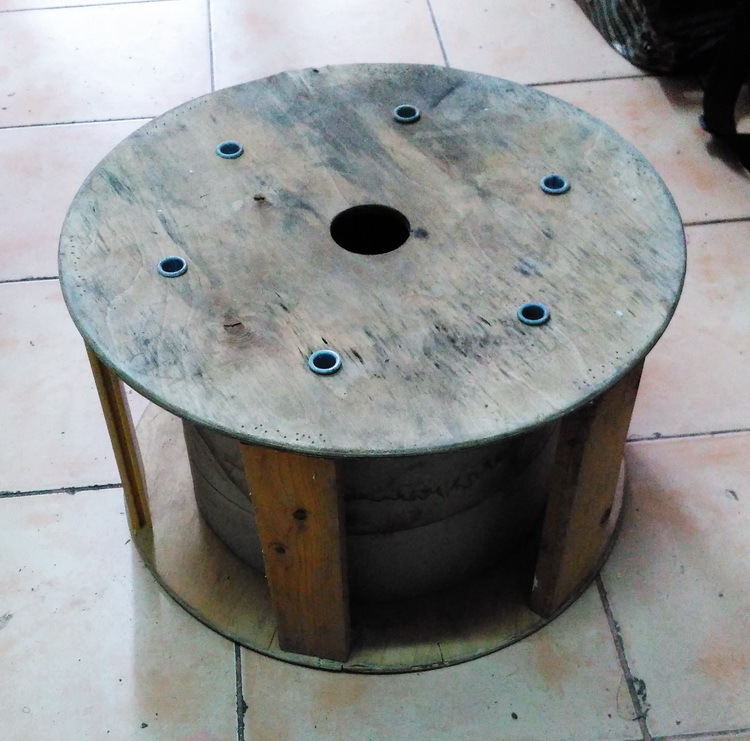 Just when we finished the chair and were talking about how awesome it would be to have a little ottoman with the chair, covered with the last left over pieces of embroidery we scored an old wooden spool, perfect! 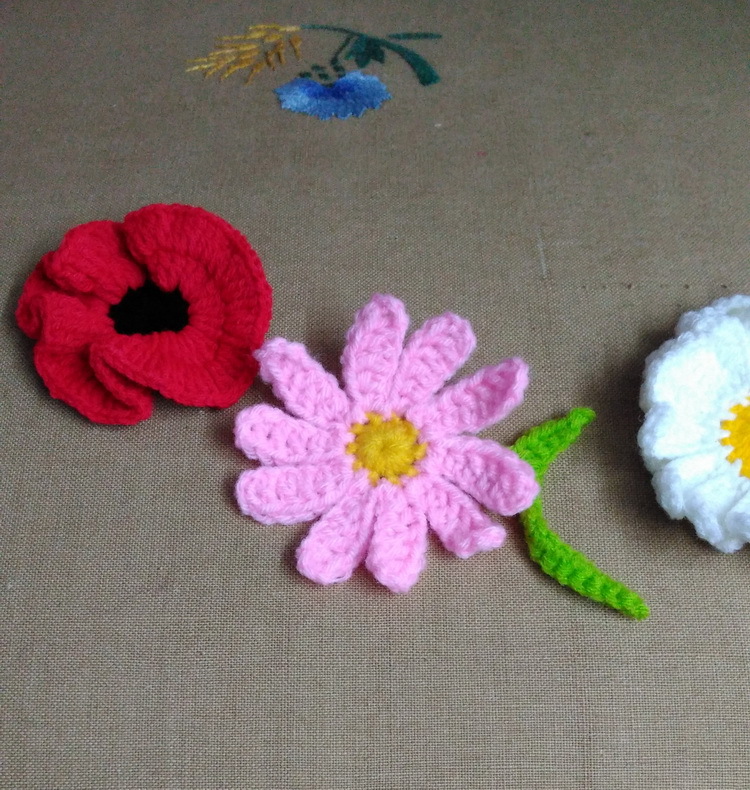 The crochet flowers makes it look like they are really blooming. 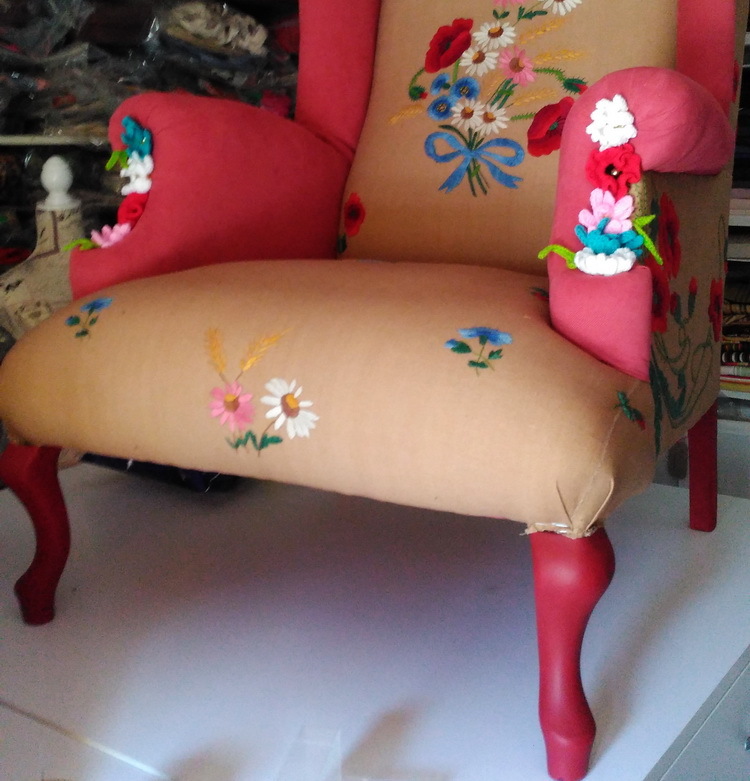 The embroidery must have taken so many hours, it would have been nice if the original maker could have seen the chair! This one of a kind duo is available in the decor shop, among other special furniture and decor pieces. 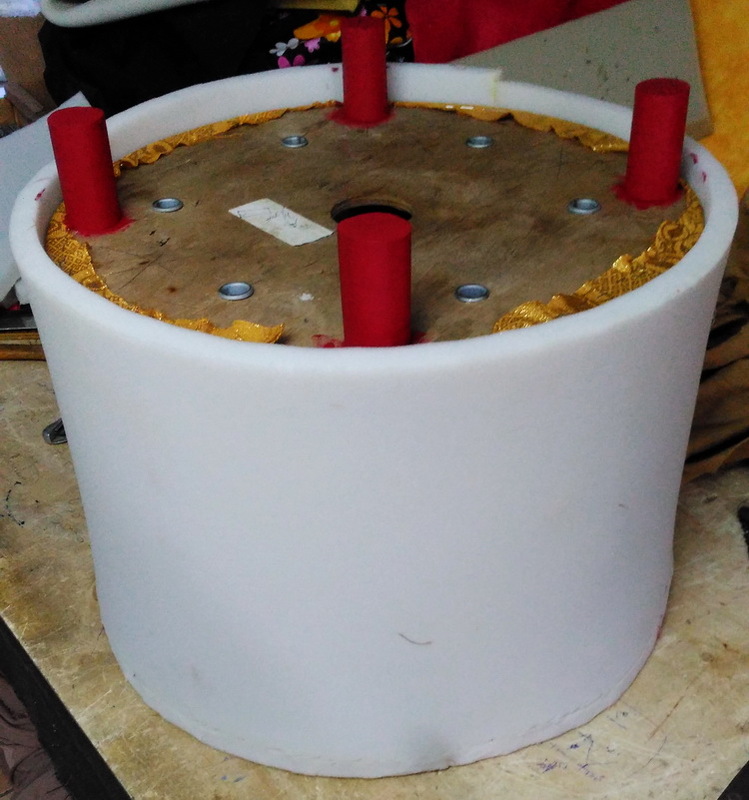 The result is absolutely amazing! Awesome combo. The little flowers around the legs are so cute. And I love how you add the crochet flowers. Amazing duo!! Details and colors are perfect! Omg! I really love your work. It is absolutly stuning!!! This is so cheerful! Amazing work! Not sure if my original comment went through but if it did not.....I HAD to say it again. 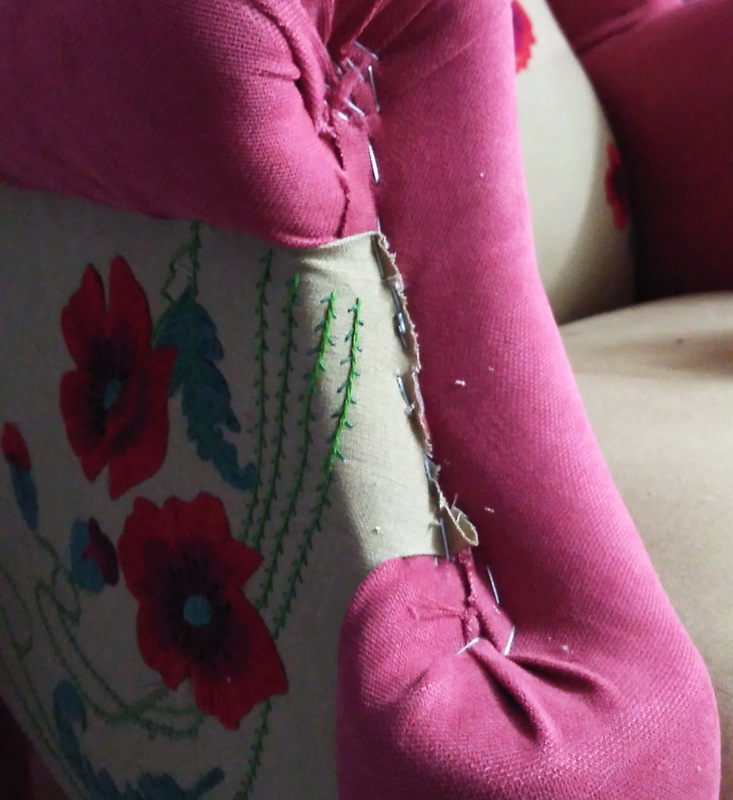 Your furniture restorations are gorgeous!